TWO Ordinary level candidates from two schools in Bulawayo have approached the High Court seeking an order for the release of their results which their respective schools have been withholding over outstanding fees. The pupils, Providence Ayanda Luphahla a candidate from Maranatha High School and Prudence Moyo from Ihlathi High School through their lawyers Dube-Tachiona and Tsvangirai Legal Practitioners want the matter referred to the Constitutional Court for a constitutional declaration. The school have since February 2016 refused to release the results demanding to be paid the outstanding fees. According to summons filed at the High Court on Tuesday, the Headmasters of Maranatha and Ihlathi High schools are cited as first and second respondents respectively while the Minister of Primary and Secondary Education is cited as the third respondent. Providence said she enrolled at Maranatha High School in Nketa from Form Two to Form Four while Prudence did Form One to Four at Ihlathi High School in Tshabalala. 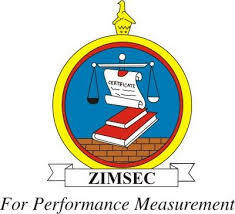 “Having completed their Ordinary level examination, the results were subsequently released by the Zimbabwe Schools Examination Council to the two schools in 2016,” read the court papers. At the time the ordinary level results were released, Providence owed and still owes Maranatha High School $538 while Prudence still owes Ihlathi High School $412. The court papers say the basis for the application was for the court to make a declaratory order. “From the date results were released the first and secondary respondents have refused to release the said Ordinary level results to the minor children until payment of full school fees arrears. I seek an order that the refusal by the respondents to release the applicants’ ordinary level results on the basis of failing to pay school fees is unconstitutional as it violates the constitutional right to education and rights of children,” reads the court papers. “Furthermore, the respondents actions are also unlawful as they are not provided for by any law. I am advised that there are lawful ways upon which the respondents can recover their unpaid fees”. The summons say the respondents’ conduct has infringed on the minor children’s fundamental rights as they have failed to progress with their education without the said Ordinary Level results. “The Constitution of Zimbabwe guarantees a right to basic adult education which is state funded as a result the respondents have no right to infringe on the minor children’s rights on the basis of failing to pay school fees. The conduct of the respondents further does not in any way advance the best interest of the minor children,” read the papers. The applicants also argued that the Constitution of Zimbabwe further places a duty on all persons, institution and agents of the Government to respect, promote, protect and fulfil the rights and freedoms guaranteed by the Constitution. “The conduct of the respondents is an abuse and deprivation of the applicants’ education. I submit that the provisions of Section 6 and Section 21 of the Education Act (25:04) which provide for payment of school fees do not give the powers to withhold examination results where school fees are not paid. The lawyer said they were praying for an order declaring the conduct of the respondents to deny the applicants their Ordinary level results as unlawful and unconstitutional as it infringes on the applicants’ constitutional rights as granted by Section 75 (i) and Section 81 (l) (f). They are also seeking that the matter be referred to the Constitutional Court in terms of Section 175 (1) and (5) of the Constitution of Zimbabwe. In 2011, the Bulawayo High Court ruled that it is parents who undertake to pay all fees for their children when they bring them to school and failure to do so should result in legal proceedings being instituted against them. The court ruled that school fees payment obligation was a contract entered into between a parent or guardian and the school concerned and not the pupil. It said the said contract can either be express or implied.